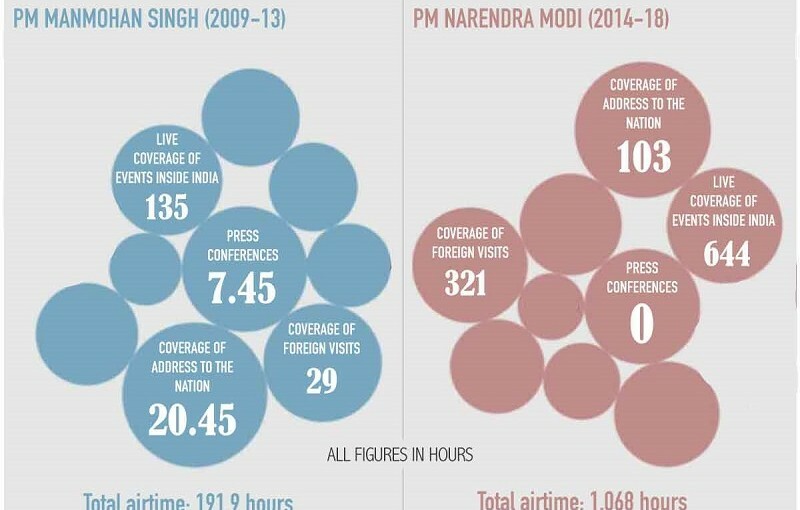 Statistics released by the Ministry of Information and Broadcasting reveals that PM Modi got more than 1,068 hours of airtime on All India Radio between 2014 and 2018. The data for 2019 has not been released but it is believed that it would increase the airtime considerably as the PM has been on air for long this year. The data was released after Doordarshan said that BJP got the most coverage on its news channels. Congress leaders have accused Modi of exploiting the state broadcasting services. In reality it just reflects how active the PM has been in interacting with the public.